@Lanthanotus yes, I do my own illustrations, although they take days or weeks to produce sometimes. I sometimes illustrate other people's papers as well; in fact, I have more "acknowledgments" for illustrations than I have authorships for papers. That probably doesn't look great on my CV. 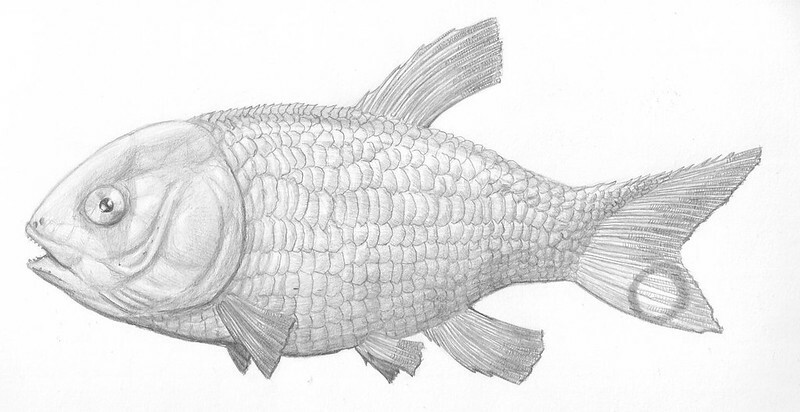 Here's my rendition of Fuyuanichthys wangi, described last month. I really gotta work on my scale technique. Great art, and a really cool animal! Didn't know acanthodians achieved such a stocky body plan. "Just think about it... Ceratopsids were the Late Cretaceous Laramidian equivalent of todays birds of paradise. 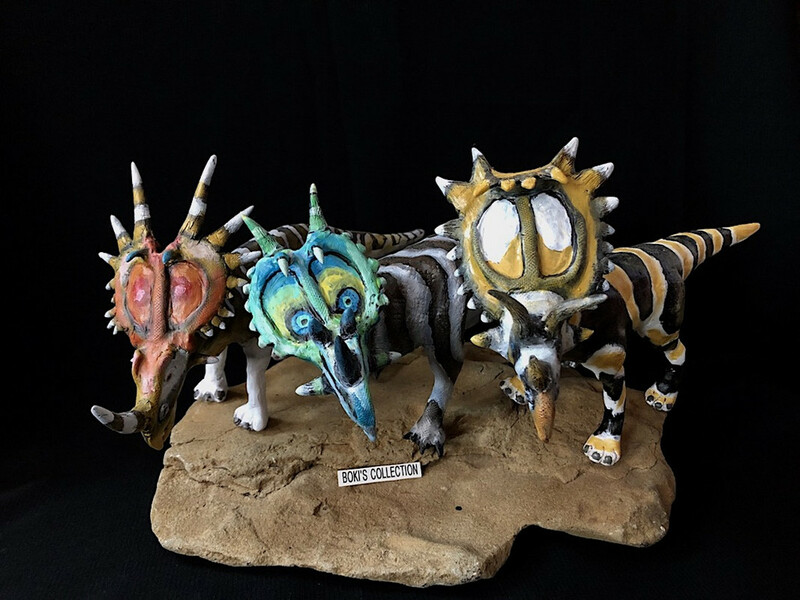 And then there's Sinoceratops..."
Thank you! Yeah, they were pretty diverse, actually! Unfortunately we'll never know quite how diverse because a lot of them are known only from spines. And they're small, which means they don't attract as much attention as, say, megalodon sharks or Dunkleosteus. Lovely drawings really digging the colours on the Brochoadmones. It's a shame that the only prehistoric fish that get any attention whatsoever are dunkleosteus and o. megalodon. Maybe Safari or CollectA can make a prehistoric fishes tube? I think Kaiyodo has a decent line of prehistoric fish capsules. Thank you! As for the Kaiyodo figures, they're beautiful, but they're all discontinued, and they never made an acanthodian (unless you count Cladoselache as an actanthodian). 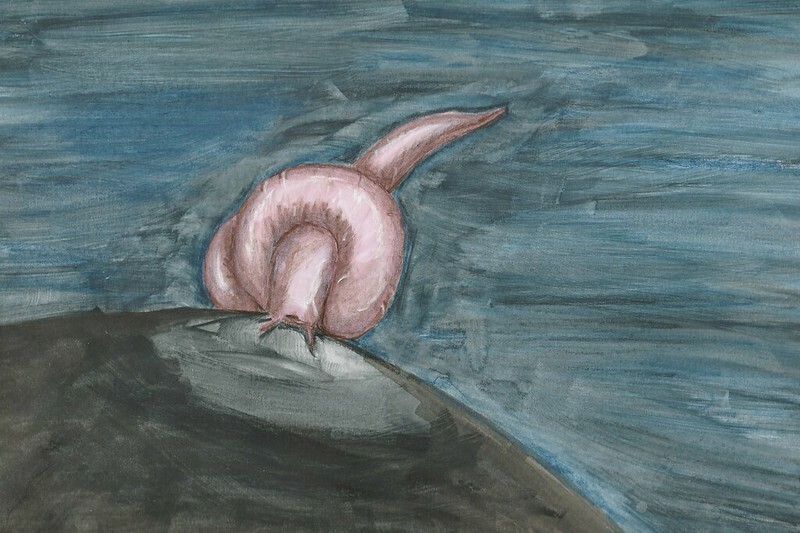 New Cretaceous hagfish Tethymyxine tapirostrum, burrowing into a mosasaur belly. I lit it as though you were observing it from a Cretaceous submersible. Your artwork is beautiful, why didn't I see this before? Magnificent paleoartistic recreation of fish and other marine animals that have disappeared. I really like your paleoartistic recreations, your animals are very realistic. In fact you are an illustrator. Your works of art are very beautiful. Do you publish your works in a paleontology book? Thank you for that. I just do these for fun. I have a couple of published technical illustrations in scientific papers, but they all depict extant fishes or pieces thereof (such as a lungfish pelvis). 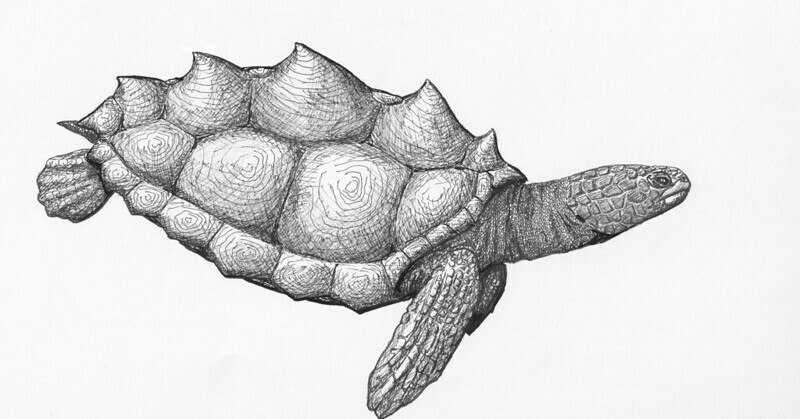 Somehow I missed that last post, a great drawing and yeah, it's a pretty cool looking animal!